1. The No.4 export department for Triangle tyre factory. 2. Triangle is a global partner of Goodyear, Volvo, Caterpillar. 1.WHY US? 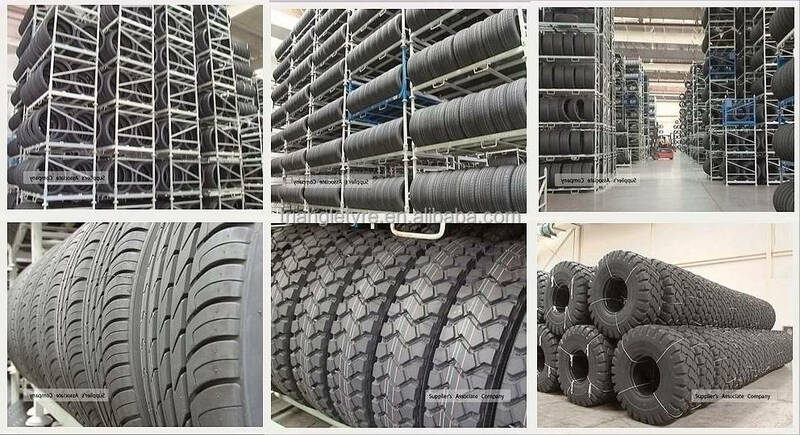 WHY TRIANGLE BRAND TIRES? 1.TRIANGLE TYRE FACTORY RANKS 14TH IN WORLD TIRE INDUSTRY. 2.WE ARE THE OFFICIAL AUTHORIZED TRIANGLE 4TH SALES DEPARTMENT. 2.Most Importantly, We Care About Your Orders!!!! -Our tight production schedule can ensure you of a punctual delivery time. -We respect your feedbacks after testing the our tires. -We provide at least 3-years warranty after goods arrival. -We send your complain within 48hours to our engineering dept.